This show really does love to depend on new character introductions to provide a weekly hook. At first I was doubtful as to whether or not it was really feasible for a small-world type of show with only a few characters shown in the opening/on the boxart to maintain this approach for a full 13 episodes. This week was going to be critical, since every character from the opening had finally been introduced. So the makers this show faced a choice; if they didn’t want to lose their momentum, skim the bottom of the barrel or start building deeper relationships around the current cast. Or do both at the same time, what do I know? If anything, digging deep enough to get to a 24-year-old convenience store manager dealing with an all-too-common set of everyday issues just pumped up the level of non-sequiter in this show. It’s got the right idea. One of my favorite anime comedies, Astro Fighter Sunred, does the same thing, constantly introducing new and increasingly bizarre monsters (such as one specifically based around the O-Bon festival who gets taunted for attacking a month after the festival is over) and letting the regular characters’ history with each other become its own mythos (Devilcat’s diabetes, Khanmenman and Antkiller’s sibling relationship). 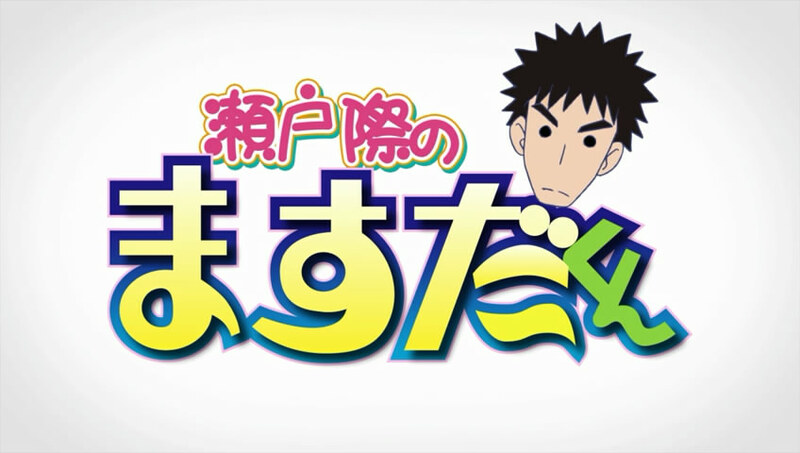 The revelation that Muromi was a regular man-eating customer at Otohime’s casino was of the latter type, whereas the surprise reappearance of the very mild-mannered Masuda at the end of the episode was the former. I’m going to miss this show a lot when it wraps up in two weeks. Hopefully, some combination of Blood Lad, WataMote, Prismer Illya, Kin-iro Mosaic, and that Gonzo show with the scissors can provide a meager semblance replacement. Realistically, I’m sure it will. I’ve never been disappointed by all the comedies in a season, especially not with with this many lined up. Still, I’m going to miss this show a lot. 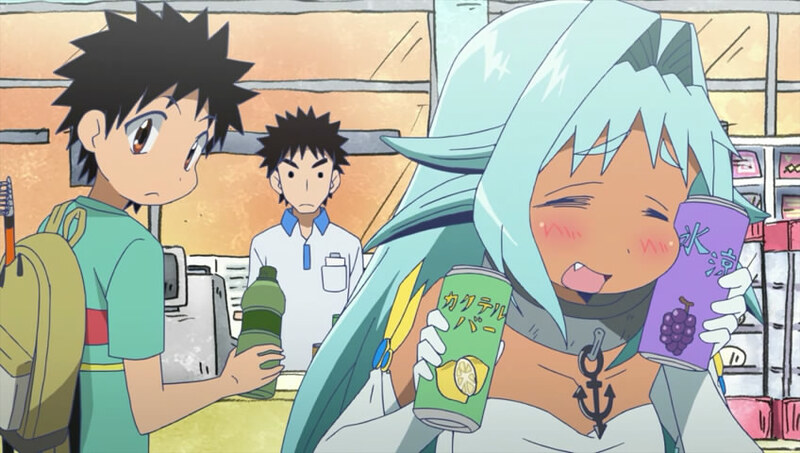 This entry was posted in Anime, Finished and tagged Anime, Astro Fighter Sunred, Blood Lad, Building on Relationships, Convenience Store Clerks, Dennou Coil, First Reactions, Hilarious Stoicism, Kin-iro Mosaic, Muromi-san, Namiuchigiwa no Muromi-san, Prismer Illya, Puns Akimbo, Seitokai Yakuindomo, Spring 2013, Spring 2013 Anime, Studio Gonzo, Suggestive Popsicles, Summer 2013 Anime, WataMote, Zettai Shonen by torisunanohokori. Bookmark the permalink.